National Interstate Moving Group is licensed as a moving Carrier through the Department of Transportation. We can negotiate competitive prices on behalf of our customers by leveraging economies of scale, and get you the bargain you’re looking for. We represent a high volume of customers and We will offer you valuable discounts when you reserve a move through us. If you hire us to coordinate your long distance move, we are confident that we offer the best value and service. *Authorized Dura Supreme Cabinetry Dealer* 2014-2017 Best of Houzz Award Winners! Best of Design and Best of Customer Satisfaction Whether you're remodeling, building a new home or just needing a new range, DCI Home Resource has been recognized as one of the top kitchen and bath firms in Charlotte, and in the nation. 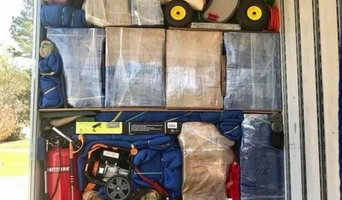 DCI is your one-stop, full-service design center in the Charlotte, NC area - proud to provide premium products from throughout the United States and Europe. We continually strive to ensure our clients have access to not only the best design solutions, but also the finest in high-value, long-life products for their home. We are a family owned and operated company with over 15 years experience. We serve the greater Charlotte NC / Rock Hill SC Area. Including York County, the Waxhaw area of NC and, The Indianland area of Lancaster county. Our Technicians are factory trained, and they provide the best customer service experience of anyone.We at Appliance GuyZ strive to provide superior service, practices, and products by maintaining up to date training. Customer service and value will always be our number one goal. Premium Selection Center for premium appliances, standard appliances, including all types of pro-style and built-ins. 8,000 sqft of kitchenettes showcasing multiple brands of the latest appliances including Sub Zero, Wolf, BEST, Thermador, Kitchen Aid, Monogram, Bosch, Jenn Air, GE Cafe, GE Profile, Electrolux ICON and then all the other regular brands in our 25,000 sqft regular showroom. We also have all the other categories needed for a home including TV's, Home Audio, Bedding, Furniture, Personal Electronics, Touch pads and much more! If you are a Home Builder, Remodeler or Kitchen Designer- let us be your design center for appliances!! Frigidaire® helps you make the most of your time at home. That’s why we offer appliances with innovative solutions that make your home life run efficiently and smoothly, so you can spend more time doing what you love. Frigidaire Gallery® The Frigidaire Gallery collection was developed for consumers who want to save time in the kitchen by making preparation, cooking, clean up and organization easier. The appliances are packed with features that deliver on this promise including Quick Preheat, True Convection, 20-minute Steam Clean, SpaceWise® Organization Systems, and an OrbitClean® Wash System. Frigidaire Professional® With our Frigidaire Professional Collection, we make it easy for you to upgrade your kitchen and your meals with professional-grade design and powerful performance. Experience greater cooking precision and heavy-duty durability, all with a professional-grade design. 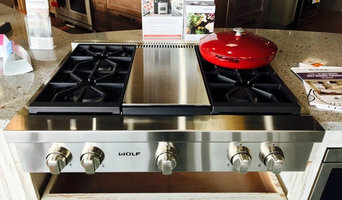 Sears Home Appliance Showroom Huntersville N.C.
GRIZZLY Cast Iron Cookware is a North Carolina-based, veteran-owned company that designs and manufactures innovative cast iron cookware. GRIZZLY elevates performance in both form and function while honoring the quality elements of traditional cast iron cookware. A retailer of propane refrigerators, freezers and coolers. Propane refrigerator from major manufacturers like Diamond, PortaGaz, Crystal Cold, Blizzard, and Dometic. We protect your investment. A drip or drain pan is a simple solution that provides a lot of protection against one of the largest causes of damage in home or office - water. Appliance like ice machines and washers that hold and use water can create some serious messes when they fail. An investment in a Killarney Metal's drain pan or drip tray will cover you against lost from water damage. Every day, you probably use a variety of different appliances in your home. From washing your dishes in the dishwasher and cooking dinner in the oven to using your washer and dryer to clean your clothes, if any of these appliances were to stop working like they should, it would be a hassle. Luckily, you have us at Accurate Appliance Repair on your side. We serve the Mooresville & Charlotte, North Carolina area and are capable of working on all major brands of appliances. The next time you run into a problem with your dishwasher, washer, oven, or any other home appliance, give us a call. Researched, designed and tested by professionals, Striker products provide users with functional, innovative solutions. They are engineered for reliability and performance in demanding work environments. Your North Carolina appliance professional might handle any or all of the following jobs: selling, installing, repairing and upgrading both small and large appliances. He or she can advise you on the right equipment for your Indian Trail, NC home, from features to finishes, and is usually in the know about the latest technological advances and bells and whistles. When appliances hit a snag or start to show their age, a pro can advise you whether to repair or replace them, then carry out his or her recommendation. 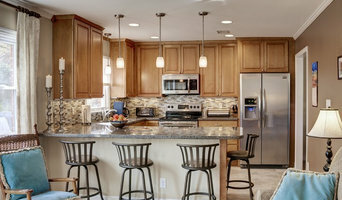 Some appliance professionals work closely with Indian Trail, NC builders, remodeling contractors, and kitchen and bath designers, among others. Here are some related professionals and vendors to complement the work of appliances: Kitchen & Bath Fixtures, Kitchen & Bath Designers, Kitchen & Bath Remodelers, Specialty Contractors, General Contractors. Find an appliance professional on Houzz. Narrow your search in the Professionals section of the website to Indian Trail, NC appliances. You can also look through Indian Trail, NC photos to find examples of rooms with appliances you like, then contact the professional who worked on them.